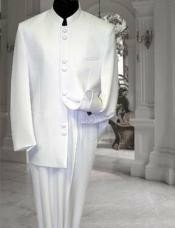 A tuxedo is considered standard attire at weddings, proms, certain business affairs and a variety of other social situations. 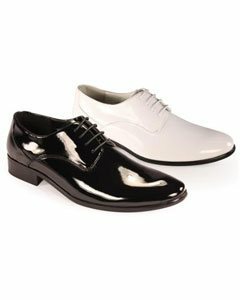 Although black has long been considered the standard, white is an elegant alternative that has been popular for many years. 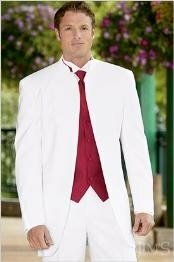 The white tuxedo is particularly popular at weddings and proms. 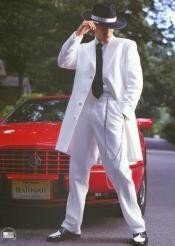 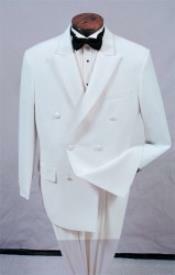 The main difference between one white tuxedo and another is the style of the jacket. 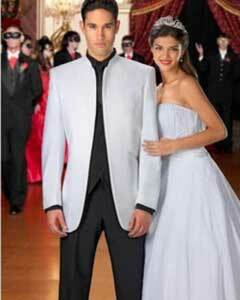 Tuxedo jacket styles range from traditional and conservative looks to more trendy and contemporary styles. 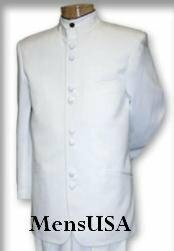 For a conservative look, a standard single breasted jacket in two or three buttons is a common choice. 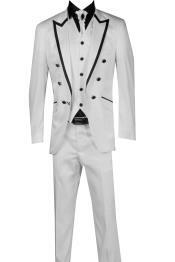 These can be worn with either a bow tie and cummerbund or a vest and tie. 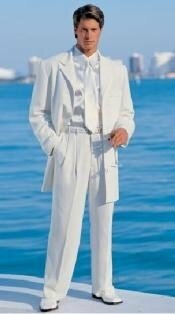 If you want a trendier look, you have a few choices in white tuxedo styles. 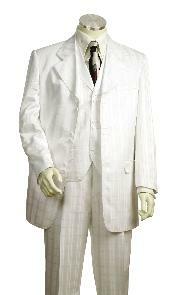 A fashion or zoot suit style is a fun and modern look. 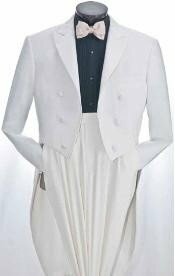 These are longer coats with four, five or six buttons. 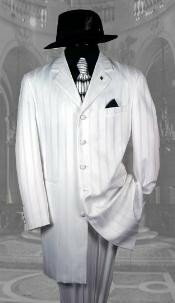 The vest can either be white or a patterned vest can be added for more flair. 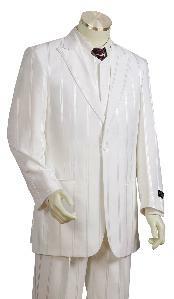 A coat with a mandarin collar is another option that looks great at a wedding or other semi formal event. 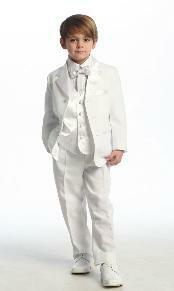 We offer a variety of white tuxedo styles for men. 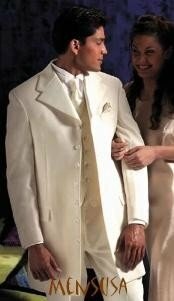 We use the finest fabrics and superior craftsmanship in every tuxedo we sell. 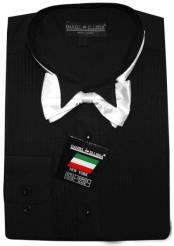 The quality of our merchandise is similar to what you would find from the major designers, such as Armani, Hugo Boss and Canali. 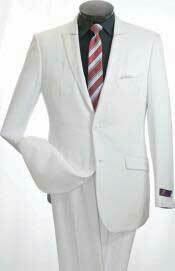 The difference is the much lower price you will pay with us. 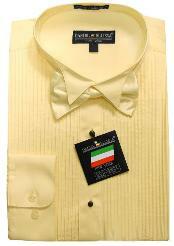 We guarantee our prices are lower than you will find elsewhere.